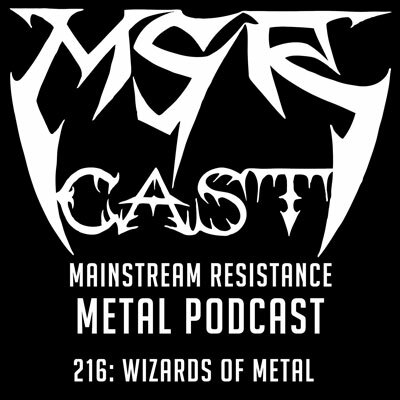 Soilwork | MSRcast and Metal Geeks Unite! Welcome, Geekazoids to Episode 11 of Metal Geeks, your source for all kinds of geeky topics. We discuss lots of TV this episode ranging from shows like Lost, the Walking Dead, the Following, Arrow, Vikings, and Alphas. We also discuss why Andrea is such a whiny beeatch! There is also metal news, Randy Blyth acquittal and the two versions of Queensryche. Enjoy this episode! We are now officially part of Ultness.com, your new home for Metal Geeks. Rock Out With Your Geek Out! Contact us at themetalgeeks@gmail.com, on twitter @metalgeeks and @jmmetalgeek, our new home here at Ultness.com, and find us on Itunes, and subscribe for free and leave a review whilst you are there. Keep It Geeky!